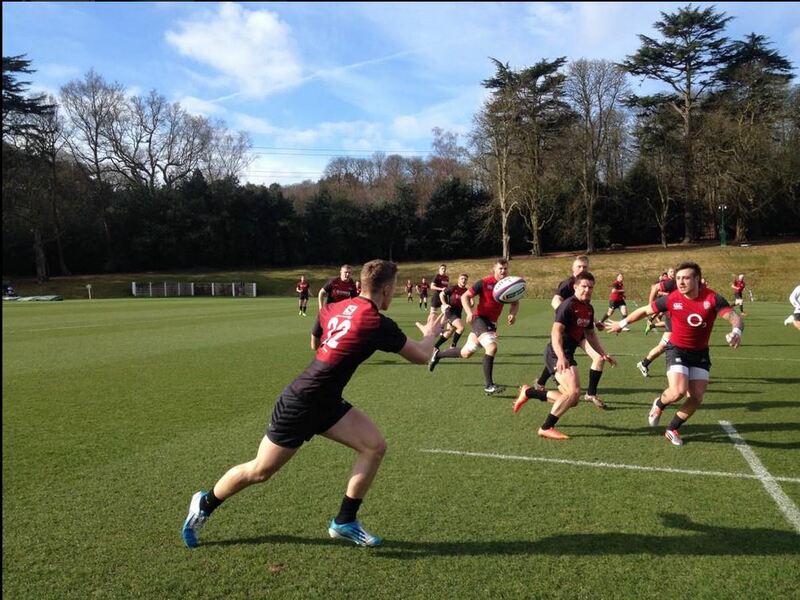 Fronting up to major challenges on a big stage is nothing new for Hartpury’s talented rugby stars; but the prospect of training with Stuart Lancaster’s England side saw that challenge hit a whole new level. England used the session to prepare for their Calcutta Cup clash with Scotland on Saturday, March 14th 2015 – the penultimate game in their RBS 6 Nations campaign. And they came up against a number of players eyeing senior international honours in the not too distant future, including England Under-20s back or second row Joe Batley, and fly-half Mat Protheroe, who put in a man of the match performance for England Under-18s recently, scoring 11 of their points in a 21-5 victory over France.